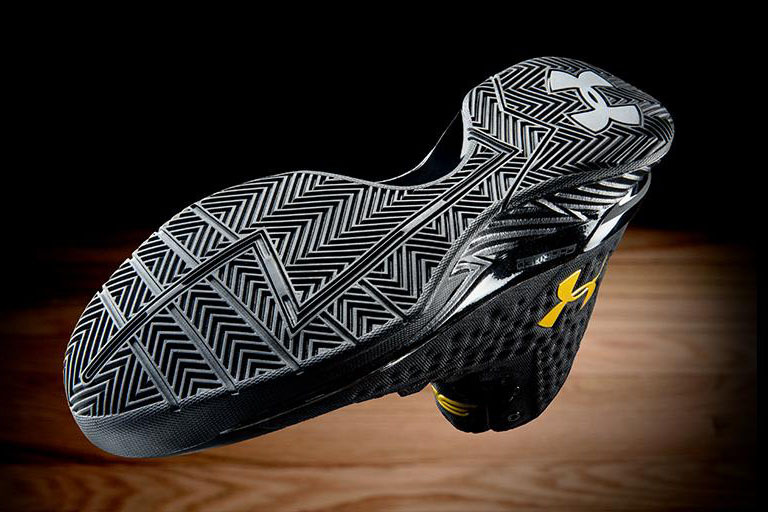 The shoe with a championship look in the Under Armour Curry One ‘Black and Gold Banner’ finally gets released, with link seen below. The sneaker wasn’t necessarily worn by Steph Curry in the NBA Finals, and nobody really knew of the shoe til a few weeks ago (we even asked you guys to give the shoe a nickname on IG, before it was known.) Now we know that it is a post-championship celebration, specifically a banner of sorts for last year’s fantastic season for DubNation. 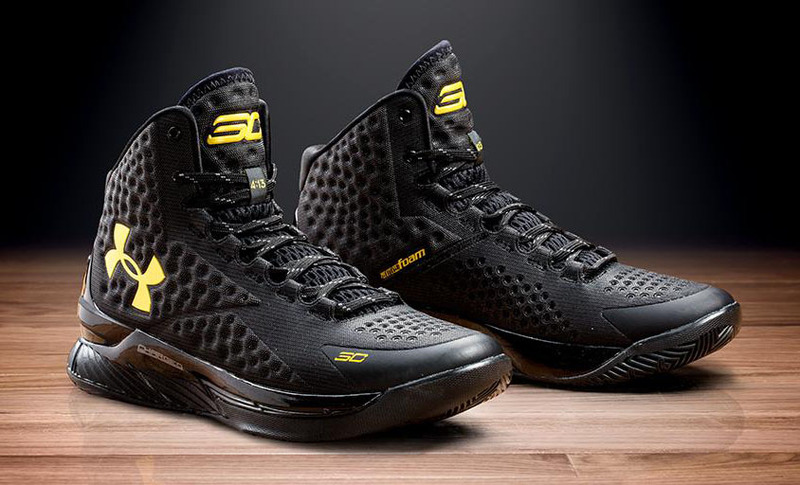 You can purchase the Under Armour Curry One ‘Black and Gold Banner’ for $120 at the online retailers below, starting at 10am EST on August 12th. The struggle is real! On Footlocker’s site, and of course, saying all the shoes are out. Update. 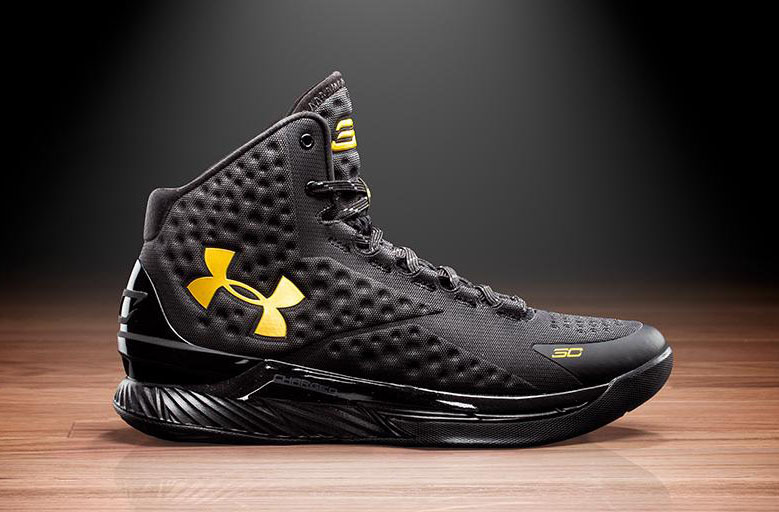 I was able to purchase through footlocker.com and I’m excited for my first UA Curry 1 shoe. I guess I should have asked before purchasing but do these shoes have the Ana foam or is it that vinyl upper? I almost pulled the trigger but I just really don’t care for the shoe. I was just 10 minutes late… 10 minutes and it’s sold out!